Last edited by Some Random Dude on Tue Dec 06, 2005 1:22 am, edited 15 times in total. Great. I've been thinking about making it myself for a long time. now I don't have to. 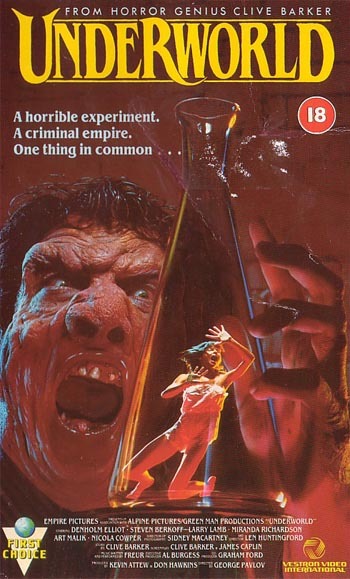 I have both 'The Forbidden' and 'Salome' on VHS and are planning on releasing them when I get my equipment in order. At the risk of being a nitpicker though, there are several errors in your summary. Three more volumes followed, published in the U.K. as the Book of Blood, Volumes 4-6, and retitled in America as The Inhuman Condition, In the Flesh, and Cabal. This is all wrong. Inhuman Condition, In the Flesh, and Cabal are sepparate publications and have nothing to do with the Books of Blood. It might be short, but it's still a novel, just like 'The Hellbound Heart'. 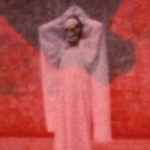 Lord of Illusions, which he wrote, directed and co-produced. Based on 'The Last Illusion' from the Books of Blood. Projects currently in development are: an animated feature based on The Thief of Always, a mini-series Weaveworld, and an interactive computer game called Extosphere. atm i'm downloading some of the above, so i'll be able to verify them pretty soon. for some of them a new rip would be appropriate, maybe i'll come up with one or two. 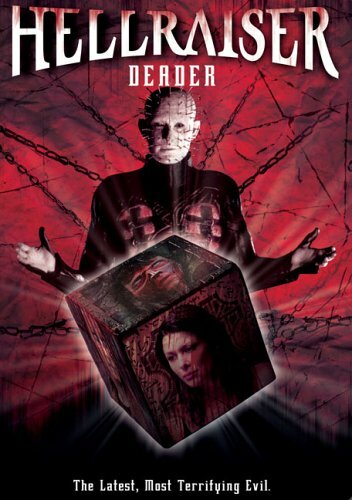 especially hellraiser 2 seems to be quite unpopular, even though i think it's the best one. avatar, all those links have totally f*cked up filetags... would be a travesty to spread them like that! yeah, those should have been along by now, shouldn't they? no rip of Underworld yet?? i really want to see his one! Expect a rip as soon as I have freed some HD space. I've posted Underworld in Low-Q. I'm making 1/3 DVD AFS rips of the first three Hellraisers (Anchor Bay boxset). Can you rip extras? If there is any. There's a fourth disc with extras. I haven't checked what's on it yet. I would love to see documentry about making movie. I always loved that sh*ts.